don't take this. No good touch. Karbonn co. not Intrested to provide parts. in six months this tab's touch not working. you can't repair either from company, nor from out side. Fooled by 4500/- rupees. You don't. 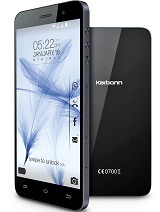 i bought karbonn st52 last month. now its totally damaged. its display changed to light color. its not worthy. money waste. The worst tab I ever seen screen is flickering,I just bought it a month now it is a damaged one. I bought this last month, i am unable to download any games and apps. Also wi-fi unable to connect. Touch also not working properly. DOn't buy.. no games like temple run.. hangs.. bluetooth does not work..you tube does not work.. worst ever is the service centers.. difficult to locate and vey unfriendly. Hi,i am stuck while rebooting the tab,and it gives me an error message as update.zip file missing. can you tell me what to do?or where to get that update.zip file? RANJIT, 04 Nov 2013i like this tablet .internet speed very high and skype support...What about gaming?Is this Tab good for games? RANJIT, 04 Nov 2013i like this tablet .internet speed very high and skype support...What about gameing? Is this tab good for games? 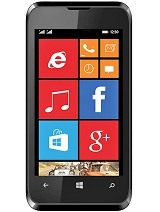 buyers, 29 May 2013if you are buying karbonn mobiles / tablets then dont think that they provide sell after (in w... moreYes, Nokia needs only an hour to repair devices. Total of 58 user reviews and opinions for Karbonn Smart Tab2.